Our mission is to become one of very few single estate whisky distilleries in the world and to follow our ethos of sustainability and organic farming. Dà Mhìle Distillery was established in 2012 on the founders, family farm in Ceredigion, West Wales - but this was not the beginning, our story starts many years earlier. 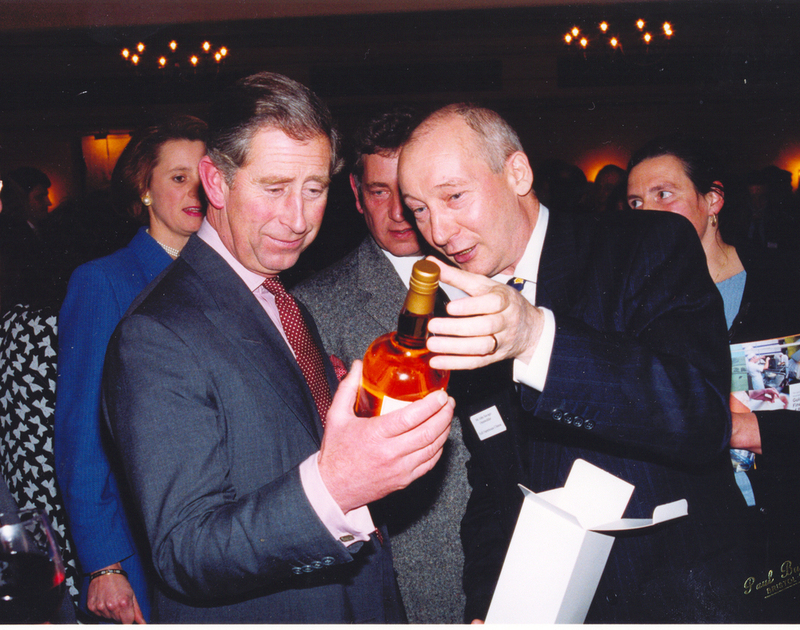 Way back in 1992, John Savage-Onstwedder, one of the founders of the renowned Teifi Farmhouse Cheese and an organic farmer, commissioned the world famous Springbank Distillery in Campbeltown, Scotland to produce the world’s first organic whisky of the modern era. This one off special edition whisky was distilled to commemorate the eagerly anticipated new millennium. Dà Mhìle (pronounced da-vee-lay) is Gaelic for 2000. Springbank made 15 hogsheads (barrels) out of the 11 tonnes of organic barley that John had specially delivered to the distillery. Of these 15 hogsheads eight were used in the first bottling in 1999. The remaining hogsheads are now highly sought after by collectors. In 2008, John applied for a distiller’s license to run a 350 litre, state-of-the-art copper pot-still. At the time the regulations stated that the smallest pot-still for which a license could be granted could be 1800 litres. Nonetheless, he was encouraged to apply by a sympathetic HMRC officer who said: “Those guidelines were written when custom’s officers were still roaming the hills with muskets to flush out the illegal stills, so as to make it more difficult to hide them. Put in your application and we’ll see what happens”. Lo and behold a few months later HMRC issued John what was most likely the first distiller’s license issued for a 350 litre still in UK history. After a few more years of building and license applications we were finally able to start distilling. Our distillery is run by John’s eldest son, John-James. His first product, an organic orange liqueur called Dà Mhìle Orange 33, won a True Taste Award for its first batch! His second product, Dà Mhìle Botanical Gin was enthusiastically received by gin drinkers. And on St. David's Day 2014 he released our popular Dà Mhìle Seaweed Gin, which is made with a specially selected seaweed from the coast of West Wales and the West coast of Ireland. Dà Mhìle Distillery continues its legacy of making great organic whisky, gin and liqueur whilst exploring new spirits such as apple brandy, vodka, rum, absinthe… Dà Mhìle is committed to producing high quality organic spirits that will make Wales proud.